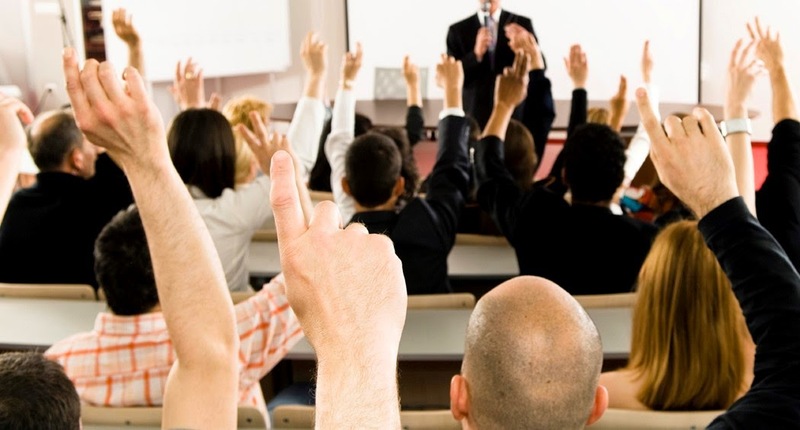 Barbara Pachter's Blog: Pachter's Pointers: Giving a Presentation? The 10 Things You Must Do! Giving a Presentation? The 10 Things You Must Do! The ability to make an effective presentation is an important business skill. As a presenter, you need to get your point across. And if you do so effectively, not only does your audience gain information, but you look good. Yet many people, at all levels, are unsure how to appear confident and credible when speaking in front of others. Over the past few months, even seasoned professionals have been among those I have coached on presentation skills. 1. Know your audience. Learn as much as you can about your audience before the presentation. How much do they already know about your topic? What more do they want to know? If you address the needs and concerns of the people in your audience, they are more likely to listen to you. 2. Practice out loud. You want to hear how the presentation sounds. Saying it in your head isn’t good enough. Is it structured logically? Are you using transitions between points? Does the presentation make sense? Hearing the speech as your audience will hear it helps you to clarify the areas you need to work on. 3. Dress for the presentation. Your attire can help you appear as a self-assured person. Think about your audience members and what they will be wearing. Dressing slightly better than your audience adds to your credibility. 4. Mingle before the presentation. When you can, meet the participants. Go up to people, shake hands, introduce yourself, and welcome these individuals to the presentation. This rapport-building helps people connect with you, and allows you to feel more comfortable with them. 5. Establish your credibility. Make sure the audience knows why you are qualified to talk about the subject. If you are not already known to the audience, or if nobody introduces you, give a self-introduction at the beginning of your presentation. 7. Don’t discount yourself. Avoid comments that belittle you or your talk. These include such statements as, “I hope I don’t bore you, but I am going to talk about…” or “I know you didn’t come here to hear me.” Be careful with filler words. If the audience is counting the number of times you say um, they are not listening to what you have to say – and too many filler words make you appear unprepared and nervous, too. 9. Use slides to enhance your presentation. Slides should supplement and support your talk, not supplant it. They are not your presentation! Limit the information on each slide. 10. Anticipate the questions. Think about the questions that you may be asked, and know how you will respond. If you prepare ahead of time for every negative or harsh comment you can imagine, you are less likely to be caught off guard. Hey..! Great post. Useful one for sure. Yes effective presentation is really an important issue to grow up your business fast as well. Just a quick note to tell you that I have a passion for the topic "To go fast with your business" at hand. If you want to get more business solution just go AAC ID Solutions to check now. Thanks!!! I agree, nice advises for start. Guys want to share with you one great website which will make your work with Power Point much faster and better. There are a lot of stuff for Power Point such as templates, maps, graphics, diagrams and so on. Try some and improve quality of your business and work presentation. I would also add that we need cool patterns. I like to use return charts and graphs for their presentations. They show that you have analyzed. I advise you to see this site http://charts.poweredtemplate.com/powerpoint-diagrams-charts/index.html. Here you will find a lot of different patterns on the subject. Thank you for your attention. How to get Bluestacks on Windows PC. So Once showbox apk pc windows 10 if there's a will, there's a means.